Sometimes, the more answers we get, the less interesting things become. As is the case with Maze Runner: The Scorch Trials, a bad movie which from the onset settles for being nothing else but bad. There is an identity crisis going on here. It’s as if this film, a far weaker feature than the first installment, is dumb enough – and naive enough – to look at its reflection and not recognize its own cash-grabbing attempt to mirror far better YA adaptations. For once, even with a book chock full of obvious cliffhangers and ridiculously bad dialogue, I preferred the written word. Mostly because it still felt original. 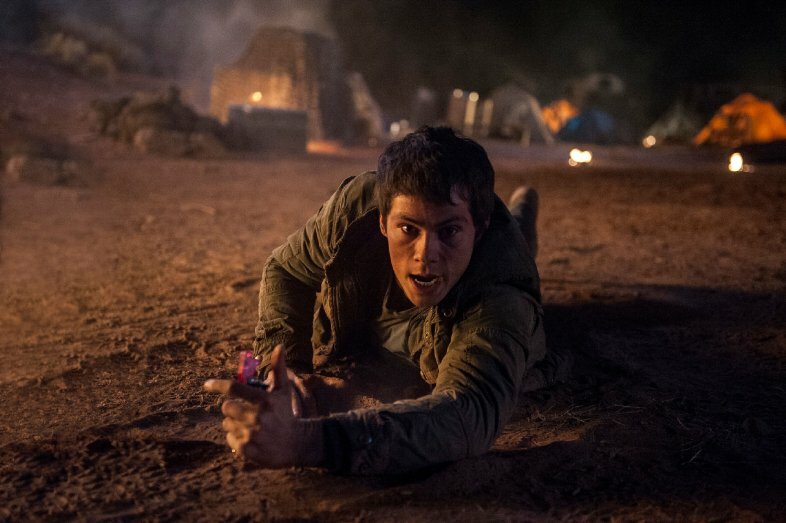 The Scorch Trials tries to become the next Hunger Games and in the process feels far more suitable for the next chapter in the abysmal Divergent series. There doesn’t seem to be much gas left in this tank that draws inspiration from every open source out there. The Scorch Trials is just another disappointing example of a good director burdened with absolutely atrocious material. In a rather interesting creative decision, the film directly picks up where the last took off. There is no segue or introduction; it’s one fluid piece. 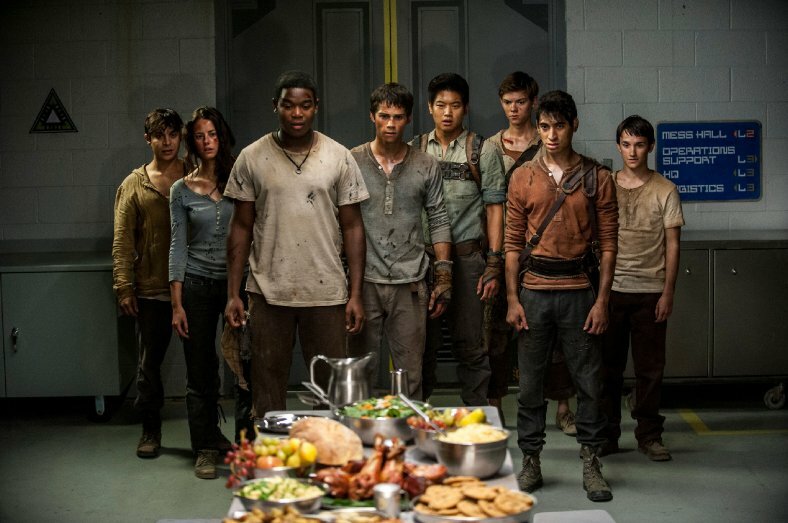 Thomas (Dylan O’Brien) and the rest of his escapee Gladers are rescued from the maze and from WICKED, the group supposedly responsible for their confinement. Their fates now lie at the hands of Janson (Aidan Gillen), the leader of the revival effort, or so he says. The Scorch Trials is a tricky endeavor because, like most films in this genre, there is going to be double-dealing and twists and lies. Even greater than the nefarious WICKED, those routine offerings are the greatest enemies of the film. This may as well be standardized testing. It sure feels as such. I must say, Wes Ball is a visionary director. The man knows how to utilize a minimal budget and is a top-notch world builder. But no amount of effort on his part could have saved this horrendous adaptation. 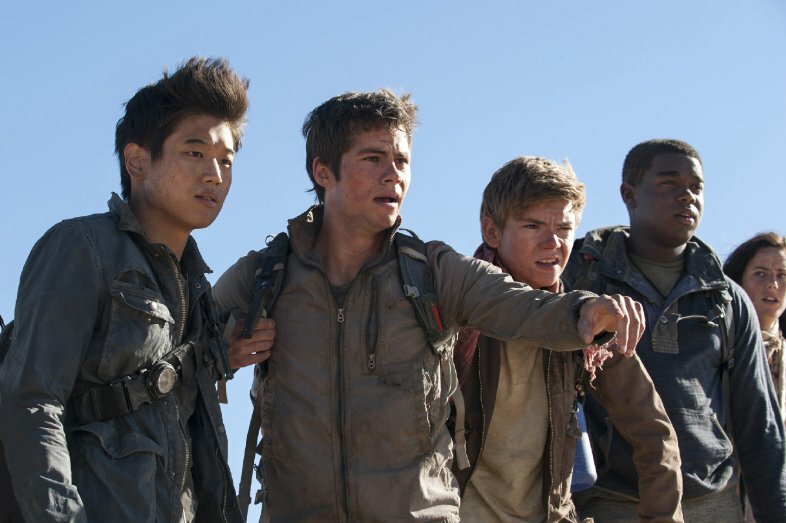 The Scorch Trials starts as a poorly written film with slightly enticing visual set pieces and relinquishes its originality to be – in and of itself – just a poorly written film. The removal of the shifting stone walls has only paved the way for an arid feature sifting through the sands of its own undoing. The major problem is the same this time around as it was before. And that is, Thomas is a bland character. The only defining characteristic that he sticks to is being inquisitive, so much so that O’Brien, in my opinion a talented young actor, is pigeonholed asking questions for two hours. It offers insight to the rest of the cast, but the lead becomes a voiceless parakeet. 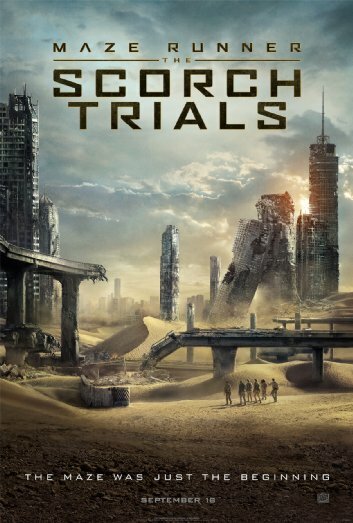 From the setup of taking down a dictatorial establishment to the lone survivor castaways to the capture of the main love interest, The Scorch Trials disappointingly sets out upon a journey that we have traversed more than once in past the few years. I admittedly started laughing at the film and it’s attempt to become a zombie horror flick when the book, and even the trajectory of the entire saga, is anything but. “This second half feels like a bad April Fool’s joke,” I wrote in my notes, hoping for a gotcha moment where the actors would break through the fourth wall, talk directly to us audiences and say, “You didn’t really think we could be this dumb, did you?” Unfortunately it is. The Scorch Trials is an unwelcome hitchhiker, thumb reached out into the middle of the lane, begging to be hit. I advise you to swerve. To slam the pedal to the floor and speed on by. There is nothing here to be seen besides a route well-traveled, destined to be left in its own rear-view.